BlackBear develops and produces all goaly equipment ourself. And that pays off in the field. 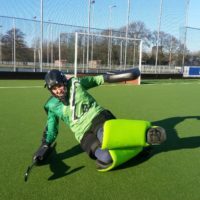 Read other goaly experiences with BlackBear equipment below. Have you experienced BlackBear equipment yourself? We are happy to hear your story. Please send in your experience by using the form at the bottom of the page. Just by wearing a kit of BlackBear our son got wings defending his goal! Add up the great service and you've got a great product! I offered some sets to the youth teams (U10 and U12). To this day they still hold up just fine. In addition to that BlackBear offers good service and the straps of the kickers are easily replaceable. Great materials at a good price. BlackBear can surely compete with their bigger competitors. There hasn't been a complete depreciation cycle yet, but the quality doesn't come up short in any way against the bigger brands. If you ask me, a great alternative that in addition, with the cool branding and striking colours, also looks great! Only wearing the goalkeeper outfit from BlackBear gave our son wings in the goal! Add quality and personal service and you have a Top! product. Goalkeeper veteran team, goalkeeper coach youth, equipment manager. Last season I found out about BlackBear Goaly materials. I gave them a call and we immediately got 2 fully complete sets to try out at the training, EXCELLENT. For the younger players we got a Bhalu set and for the older A and B youth we got a Racoon set. After using each set for about an hour we asked what the goalies thought of the sets. These were really positive, and therefore I immeddiately ordered some sets. At this time we are using the sets and they hold up just fine! The finishing and fit are great. The service is also great, your questions and advice are being answered quickly. For a smaller hockey club the value is really important. The usual goaly brands aren't always an option because they are way too expensive. That's why I fully recommend the products of BlackBear Goaly Armor. My son Mick got the oppurtunity to use BlackBear Goaly Armor even before it was on the market. What stands out is how well the materials and different details are thought out. Firm, comfortable, easy to make a sliding with, great rebound and easily replaceable parts. And just as important... an excellent personal service where BlackBear is always eager to hear about your suggestions and improvements. BlackBear Goaly Armor is goaly material that is designed with passion. For goalies, by goalies! 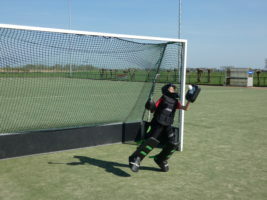 For the past year Matilde has been defending her goal in BlackBear Goaly gear. The kit is solid, flexible and is excellent for goalkeeping. Relative to BlackBears competitor, the materials are better and much more flexible. Details are well thought-out! It isn't hard to notice that real goalies played hand in developing these products. We recommend every one to use BlackBear products. 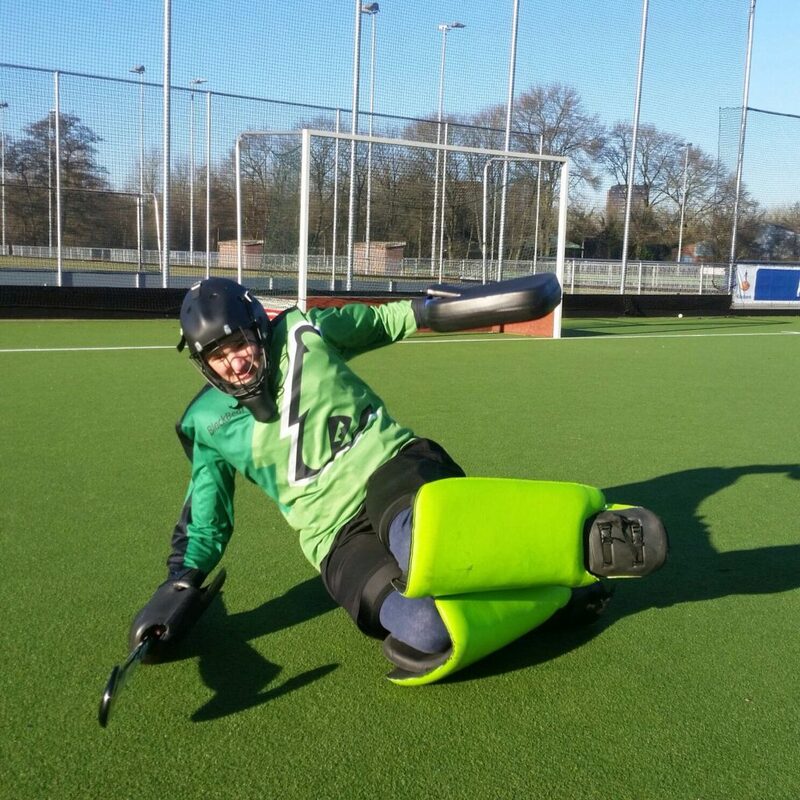 After years of seeing young goalies at HC Breda defending their goal with unfitting protective gear, BlackBear finally is able to offer materials with a great fit. This helps with a great deal moving and therefore will fuel the enthousiasm amongst younger goalies. The cool look of the kit also adds to this. The products of BlackBear are solid and robust and won't wear out quickly. All in all I believe that the products of BlackBear are a great addition to the fairly closed field hockey market. Many clubs will profit from BlackBear as a financially tempting alternative to TK and OBO. It may be clear that I fully recommend BlackBear to every hockey club. Marc Klijn, former field hockey player at Breda and Zwart-Wit H1, current staff H1 at HC Breda and coach of youth teams. Also a father of a goalie playing at top level. I was involved in the setting up of BlackBear from the very beginning. 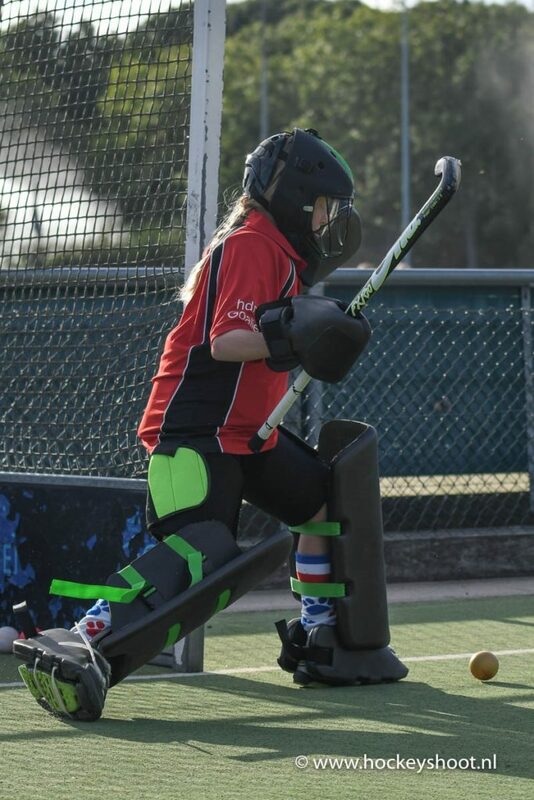 After a great deal of inventarisation, product development and testing, the current legguards and goalie gear are worthy of production. The favorable value and good look make me believe in BlackBear as new player in the field hockey market. 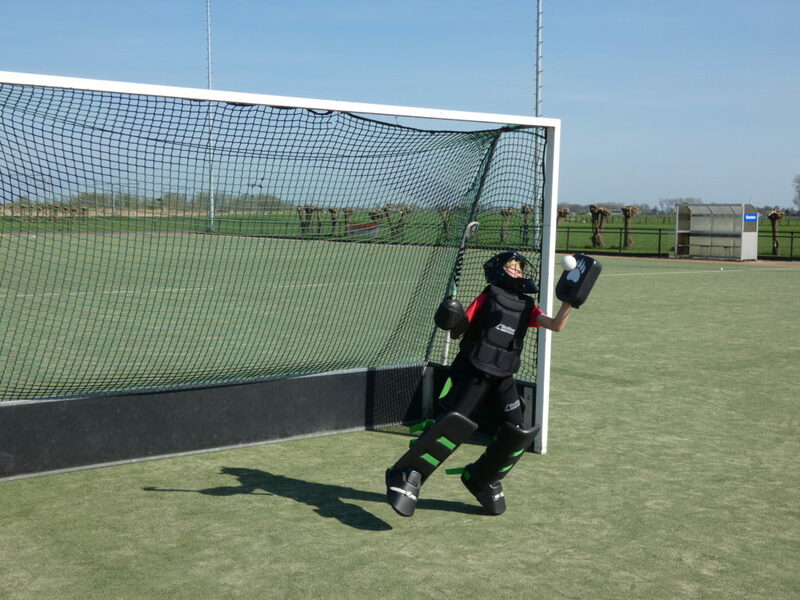 After testing BlackBear products, the providers of materials at HC Etten-Leur have decided to add BlackBear to their assortment of protective gear. The warranty conditions, low purchase price and the belief in its own product are strong sales arguments. Needless to say that I am more than willing to be associated with the materials of BlackBear. Of course, there is stuff that can be improved and there is the ambition to present a top of the notch product-line that can compete with OBO. A strong logo and the already excellent website are of great value to marketing and building a brand. 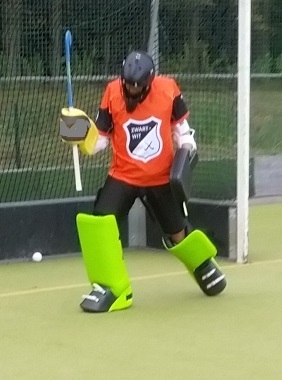 Me, being a former goalie for H1 Breda and trainer of goalies at many clubs, believe in BlackBear. René Lepelaar goalie and trainer in heart and soul. Just a little while ago I saw the products of BlackBear for the first time. After years of experience with different goalkeeping materials, I was immediately impressed by the materials I got. The things that struck my eye were the following: - The design is well thought out and improves upon the current materials on the market. -You can really see that a (former) goalkeeper has translated his years of experience into the design. For instance, the way the straps of the kickers are hidden in the kickers to ensure comfort, but at the same time they are easy to swap for newer ones. - The material is smooth, which makes slidings easier. - The final product is neatly finished off, which decreases the chance of quickly wearing off. 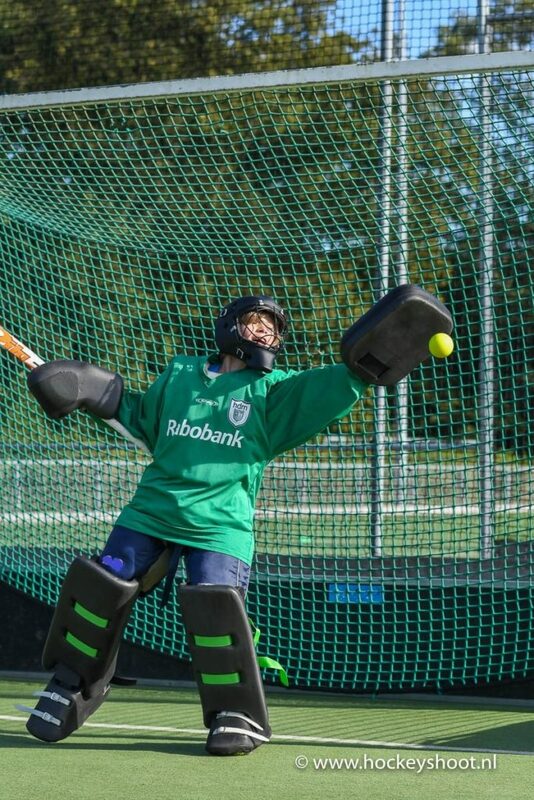 - It is a great value for your money, making it possible to provide goalies of every level with a kit that boosts confidence. I'm fully convinced that in the future even more hockey clubs will profit from the products of BlackBear. Happy with BlackBear equipment too? Please tell us and place a reference on our site. Thank you. 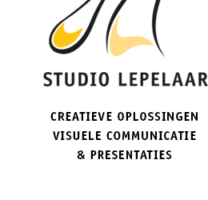 Je e-mailadres wordt niet gepubliceerd op onze website!